Google's Project Fi just scored its first non-Nexus / Pixel handset. The company added the Motorola Moto X4 to the selection of devices compatible with Project Fi, which is Google's low-cost MVNO. The Moto X4, announced earlier this year, joins the Nexus 5X, Nexus 6P, Pixel, and Pixel XL in Project Fi's lineup. Perhaps more importantly, the Moto X4 will run the Android One variant of Android. This represents the first time an Android One device is being made available in the U.S. Android One is Google's slimmed-down version of Android for inexpensive devices. The idea is to provide a core Android experience that performs well no matter the hardware's possible limitations. It includes Google Assistant, Google Duo, Google Play Protect, and the latest updates to Android Oreo. 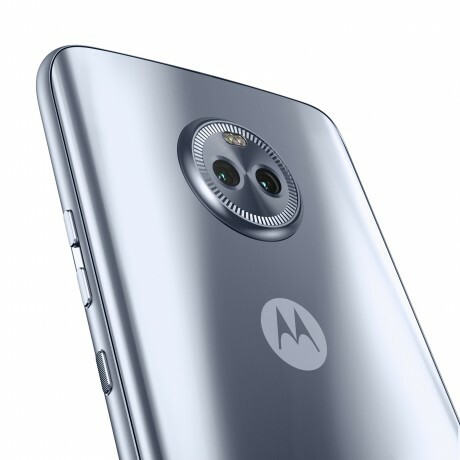 In fact, Google committed to updating the Android One Moto X4 to (previously unannounced) Android P. The Moto X4 for Project Fi sports a stylish design with a metal frame and curved glass, plus a 16-megapixel selfie camera and dual rear cameras, with one wide-angle lens. It also has a 5.2-inch screen, Snapdragon 630 processor, memory card slot, water resistance, 3.5mm audio jack, and USB-C connector. It supports Motorola's TurboPower rapid charging. The Android One Moto x4 is priced at $399, and comes in black and blue. It is available pre-order on the Project Fi web site starting today. Google said it will accept trade-ins of older Nexus phones for those wishing to upgrade.